Project wrench is a PS2 era, 3D action platformer with an emphasis on enemy encounters and objectives. It is being developed for PC using the Unity engine, as well as Blender for models. In Project Wrench you play as Wrench, a pilot for the United Galactic Federation, and you are tasked to go and locate a friendly distress beacon found on a non UGF aligned planet. While in orbit of the planet your ship gets shot down by a band of space pirates, and you must than traverse a dangerous world, find the distress beacon, and make your way off the planet. The player can run, jump, and shoot. 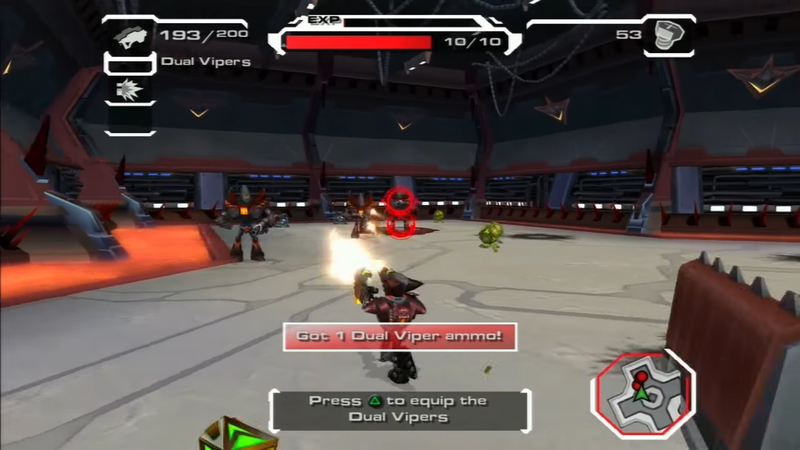 The player can be controlled with the left analogue stick, allowing the player to strafe left, right, up, and down, and can rotate the forward vector by rotating the camera. In Project Wrench, Wrench crash lands on Baros V, destroying his ship. He ejects out of the ship in time, not getting injured, and start with the arm cannon and the blaster gun end. By the end of the first level Wrench would have a total 3 of the gun ends; 2 of which you start with, and the third you will have to purchase. Since the last time I posted I have made some progress in Project Wrench. I was able to make some progress on the camera, as well as movement when the player is not strafing. 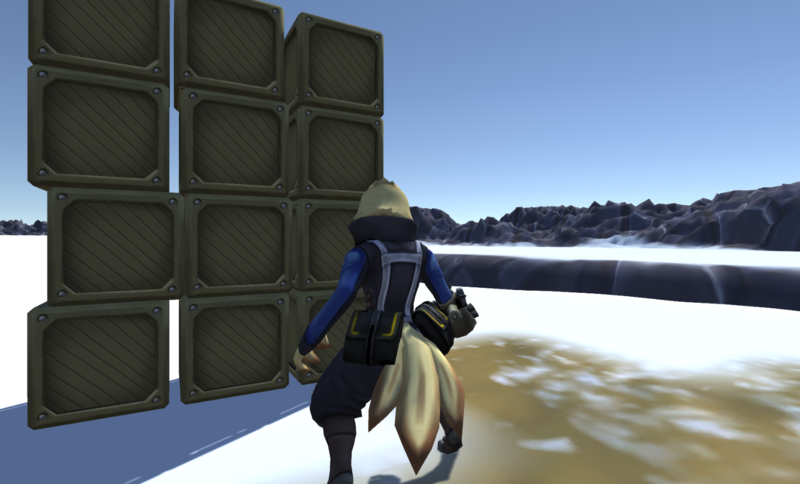 Strafe movement is already working pretty well. I am going to dedicate the rest of the week to getting the player movement, and camera movement to a point where I do not want to keep tweaking how it works. This is quick idea of what I thinking would be the base guncannon. 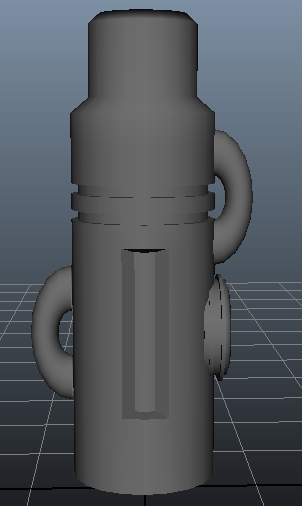 I think it resembles Samus' arm a bit too much, so I think I'll go back to the drawing board, and try to make a more interesting, and original gun design. I am planning on prototyping the rapid blaster first followed by the shotgun. I am hoping for those to be ready by mid February, with two more shortly afterwards. (Most likely would be the Grenade Launcher and the Ricochet Gun). I am also going to work some level design work, to get the layout of the level done, and what puzzles I am going to have. I am also going to start drawing what I want the flora and fauna of the world to look like, but that will come after I decide what I want to have the player do in the level. Originally, I had planned to do only one level, but I think I am going to try and make 2 smaller, more interactive levels and if I have the time and resources, I will try to get more. The first level will be the one I put the most amount of time and detail into to decide how the rest of the levels are going to be. Story wise I want the game to have 5 levels that need to be in the game, with more that can be added depending on the amount of time that I have to expand the narrative and craft fun and exciting levels. 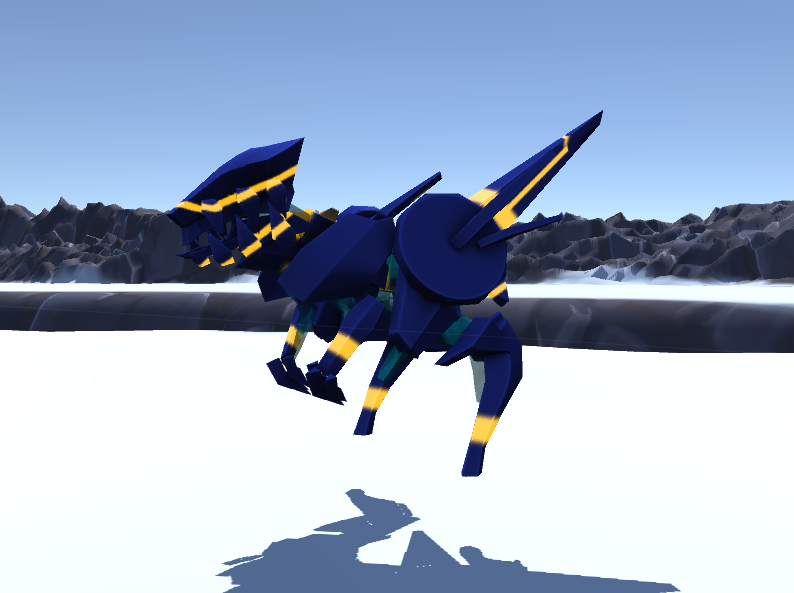 I am hoping that by the next time I post, I'll have some video footage of how the player moves. If I am not able to get video footage I will definitely try and share some more pictures. Edit: I was not able to get the software yet, I will keep trying to get some that looks nice enough. I did post some images as well as a gif showing the upper animations of Wrench. The character controller is not done, but it is making significant progress and should be done within a few days. 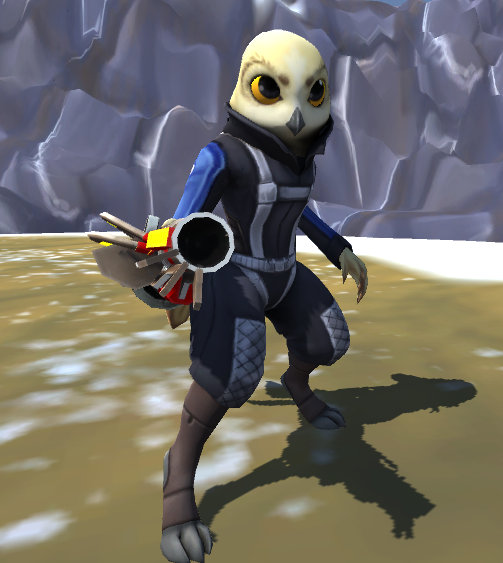 Over that last week, I was able to get the character controller to work with a Unity cube, but as I received the model and animations for wrench I realized that I can get the almost finished character into the game with animations sooner rather than later. I have started on implementing the animations into Unity, and have them react to the player's input. 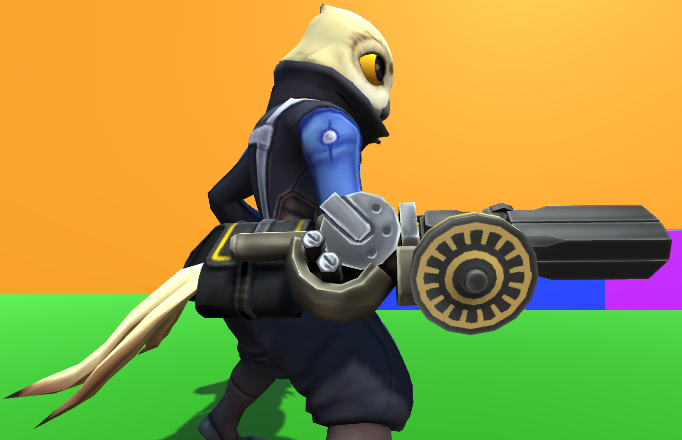 An older version of the blaster attachment. So far, I have set up the blend trees, and all the animations blend well together. 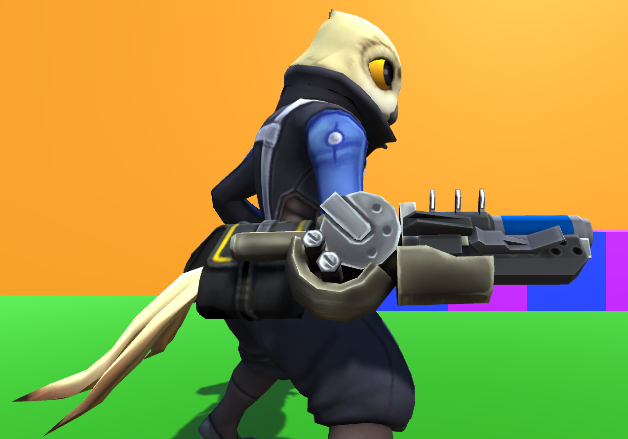 The person that modeled Wrench also modeled the new Blaster and Shotgun attachments. After that I will start on prototyping the guns, so as they shoot different bullets, and function differently from each other. I am going to start with prototyping the blaster, then move onto the shotgun. I have also started on level design, and have designed how I want the first level to playout for the most part. So, it's been a week, and I try as I might I have not been able to make great progress. I decided about halfway into the week, that I needed to step back from trying to work on improving the character controller and instead dive into the level design process. During that time, I had decided on how the first few levels I have designed of the game are going to flow, as well as what mechanics will be introduced when. I spent most of my time on level 01, coming up with how the story will progress through the stage, and what events are going to occur. I decided that I really liked the idea of not doing the traditional green level as level 1, and am opting to do a snow level as level 1. (No ice physics. If I want that in the game at a later point, it will be in a different level.) After picking the style and story I moved on to encounters, platforming, and puzzles. There will not be very many puzzles on level 1. With only 2 being planned, an easy puzzle that introduces the mechanics to the player, and one that reiterates on what the player learned. I came up with how I want the basic behavior of the different types of enemies to work. I have also come up with a basic design that I want for the different types of enemies, and will be sharing the images when they are in a state where they are worth showing. 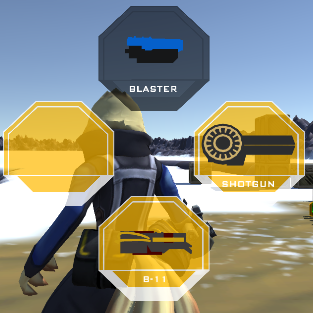 For the rest of this week I am going to work on white boxing, and implementing shooting with the blaster and shotgun (as they are the guns you start with). IF I am able to do those in less time than I have allocated, than I am going to finish the camera, and start working on the enemy behaviors for level 01. I'll try and have images for next time. @Davi Vasc Thank you. At this point in development wrench is being referred to as male, because I am lazy, but its a bird, so it really doesn't matter... Wrench can be what you want them to be. @FreakOrama Thank you, and I do https://twitter.com/theaffronted. I don't tweet very much though. And for the most part I just "like" silly gaming and anime stuff. Soooooooooo, I got some stuff done. Not A LOT but some. I was feeling sick for most of the weekend, but I was able to do some work on the game. The progress has been slowing down, due to me getting sick, and the weather (snow…), but I am expecting March to be a very productive month of work. It should allow me to spend a week of my time dedicated to the game. The amount of snow and frequency of snow storms, should start to decrease throughout the month allowing me to spend more of my time working on the game. What I was able to get done last week was the starting of the white boxed level. 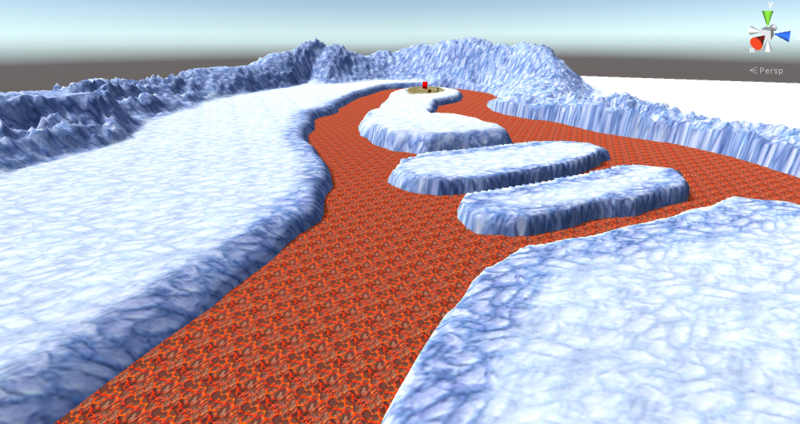 It is rough but I have laid out the level’s out door segments using Unity’s Terrain Tools. I don’t really like the aesthetic that you get with it, at least for the style of my game, so if I am able to secure more time I would like to make the levels outdoor segments in another program like blender and import it in chucks into unity. I don’t think it would be the best for optimization purposes, but I think it may be the way to go. I’ll do more research on the topic and decide on it at a latter point, but ATM terrain tools will do. There will be images of the level after I finish the white boxed exterior, and the white box of the indoor segment. The rest of the week, other than Thursday, Friday, and Saturday (I am busy doing other work), I will try and finish the white boxed version of the level, as well as implementing respawning, and checkpoints. Those should all be in by the end of next week. Hey I did a thing! I was busy over the weekend participating in a local game jam, so I was not able to work too much on Project Wrench. But me and another game developer friend of mine Snark, worked on a game at a Game Jam, called Moments by Moments. The theme was “Broken Physics”, and it was the winner of two awards, including first place. More info and the download link is on her games page http://cerearts.com/games.html of the website. I was able to work on Project wrench a little and was able to fix a bug with the jump animation. I was able to get jumping + animation working, as well as making it so you can not jump infinitely. I finished the rough version of the level, having it laid out and having the water/lava in place. I did a white box of the pirate base, and their docks. I still need to go back and adjust some of the jumps to make them feel better, but for now I think it is pretty good. (ground and lava textures are temporary, as they are not as close to the art style as I would like them to be. They will probably be implemented in a few weeks, its not a priority) I was also able to to get death pits, checkpoints, and re-spawning implemented into the game. 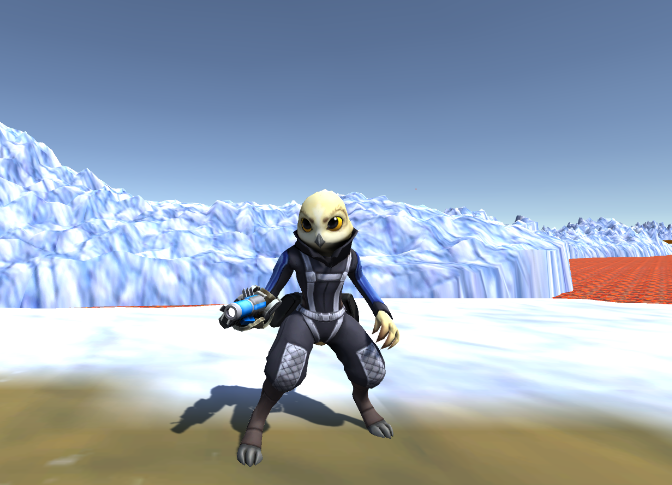 Next week I will try and implement the rest of the guns, gun switching, and melee combat. I was able to get a decent amount done this week. 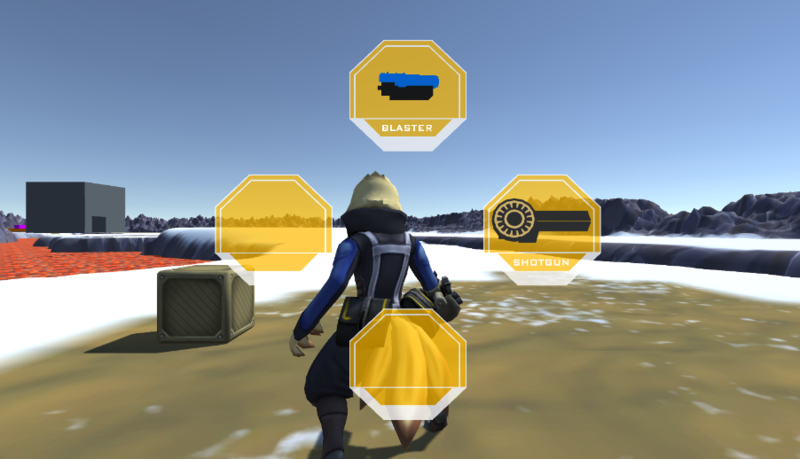 I started by deciding that I am going to spend some time working on weapon switching, and the weapon wheel. I realized that I would also have to make a weapon manager, so I did that as well. The weapon wheel is coming along. 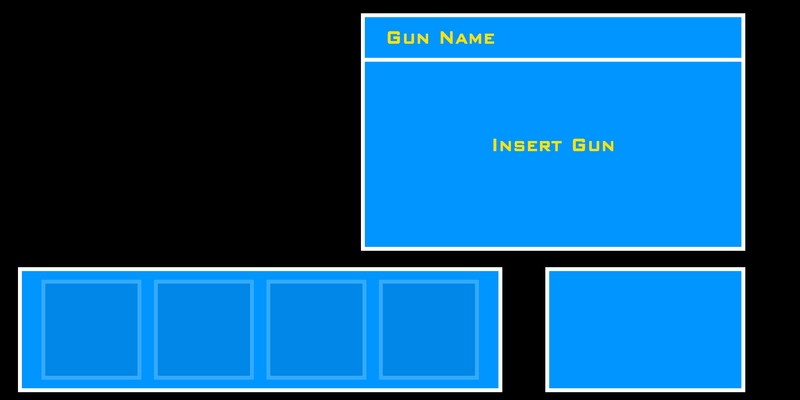 I was able to make four boxes that will correspond to a specific weapon. Up blaster, Right Shotgun, Left Bomb Gun, and Down with be the forth weapon. I currently only have the images for the shotgun and blaster, as they are the only guns I have finished. However, as soon as I have the finished bomb gun, and forth weapon, than I will add the images of those to the wheel. For now, the wheel is just there for aesthetics and does not work. I know how I will get it to work, but just have not had the time to implement it yet. I do have quick switching that allows the player to switch between the last two weapons equipped. It is a basic script but it is working. The two different guns in the game shoot different projectiles, and have different ammo, so that when you switch between the two of them, they are not using each other’s ammo. 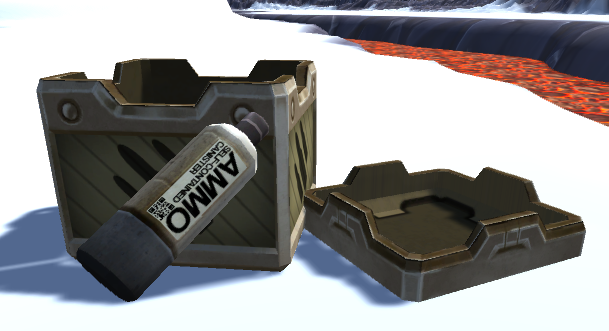 I was also able to get my LOD models of the crates, ammo crates, ammo, and have set them up properly. 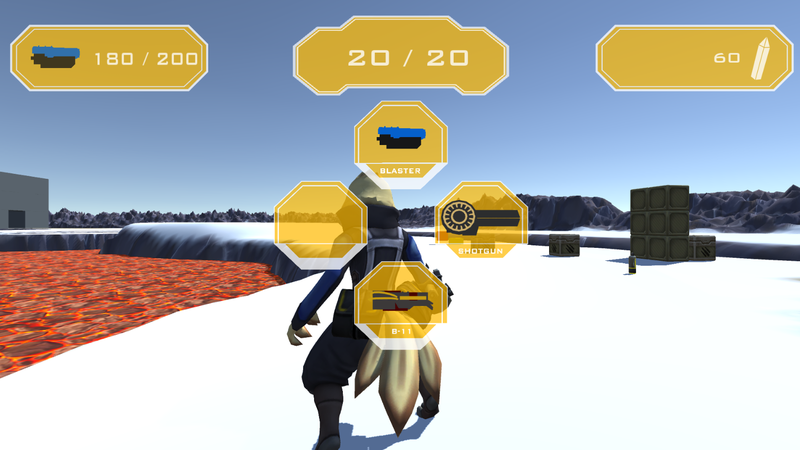 I am planning to spend the rest of the week on implementing the games HUD (ammo, crystal, and HP, and weapon wheel). I will also be trying to implement picking up ammo, crystals, and HP recovery items. (I want them to be attracted to the player so when they are within a certain distance the ammo/crystals will be picked up.) I am also going to look into implementing an ‘aim assist’ that locks on to an enemy unit. I was able to make a lot of progress one week and then it was spring break… so yeah… it slowed down a bit, but I was able to get a decent amount done during the two weeks. I implemented the B-11 (new gun), implemented the ammo, and currency pickups, as well as having them drop from their corresponding containers (crate for crystal, ammo crate for ammo). Implemented most of the way currency and ammo works in the game. I was also able to fix the weapon wheel, and get it to work the way I wanted it to. The newest weapon the B-11, is a grenade launcher and is implemented in a very limited way. I have it shoot, need ammo, and do everything like the other two weapons, but I need to implement the explosion. I will be doing this in the following week or two. The model is in the game, as well as the icon for the gun, and its ammo. 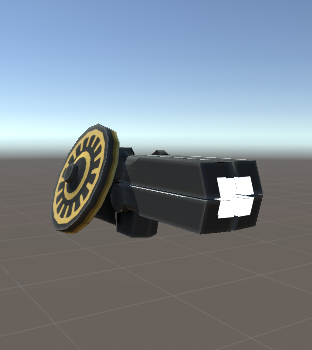 I was able to implement the three guns in the wheel, and have it work. When you highlight the gun, you want to use and let go of the weapon wheel button, you will switch the gun. (Press and hold Y, then select the gun you want to use with the left analogue stick, and when you have the gun you want highlighted, let go of Y and you will switch to that gun.) When the weapon wheel is up the game is paused, so that the player will not get shot at when they are switching guns. I decided that I wanted variety in the way the currency looked, so I made each different crystal shape also a different color. At this point in time they are all worth the same amount, but depending on play testing I may adjust that. 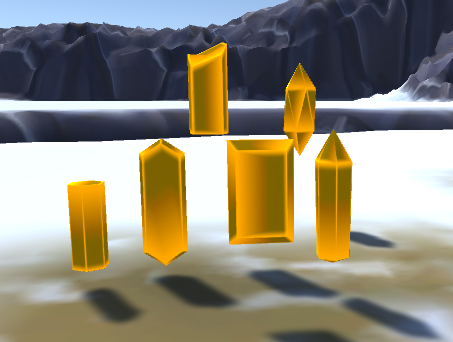 The crystals now move towards the player when they get close enough and then are added to the total amount of currency. I have not implemented the vendor yet, but it will be added in the following week or two. You can now shoot the ammo can and the top will pop off and ammo will shoot out. Ammo will only be picked up if the player needs it (has less than max ammo), and it will move towards the player. The number displayed goes down as the player gets hit. I have not implemented the fill to the way I like it but I am still planning to have it fill to be an additional indicator. When I have finished with implementing the spawned for the swarmer enemies, I will move on to implementing the explosion for the B-11, implementing the vendor, and implementing Melee combat. After that I will implement a health pickup. If I am able to think of a good way to implement an aim assist / auto aim that will also be coming in the pipeline. I tried to make some progress in the game as of recently, and was able to accomplish some amount of work. I was able to implement the explosion for the B-11 (there is no visual effect yet), and It works well enough. I will be trying to better optimize the explosion, as it currently is not great for performance (at least on my pc it goes from 70+fps, to around 60 fps). After I had finished with the B-11 for the time, I decided to look into trying to get aim assist implemented, instead of working on implementing the vendor system, and the basic melee combat. I spent about half a week trying to use my current shooting mechanics and modifying it, to make it lock on when the player aims close enough to an enemy… well I realized late over the weekend, when I was just trying to shoot an enemy and it just did not feel well that I should not be doing that. I decided that I should have a look at my major inspiration for the project, Ratchet Deadlocked, too see how they handled lock on. It did not take long before I realized what I should be doing. I should have a reticle on the screen, and if the reticle is close enough to the enemy, when the player shoots, the bullet will shoot towards the enemy. The bullets should also shot just shoot forward, but should shoot towards the location of the reticle. 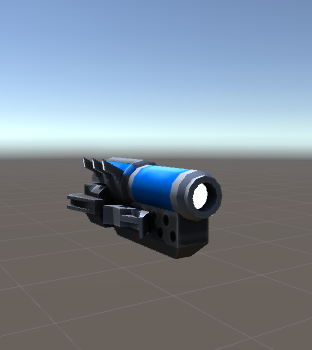 I had done a basic implementation of the guns, and thought that it was all right for a prototype version. After going back and seeing that I did it wrong I am not sure if I should spend the next week trying to fix the shooting on work on other features, like the vendor (which I started, but there is nothing worth showing yet), and melee combat. I am going to the overhaul of the shooting on hold, until I finish the other mechanics, and then will go back and spend a week or so changing the way the game plays. Also, there were some other small bugs that I was able to fix, but nothing overly worth mentioning. I will try and finish implementing the game’s basic vendor system (buy a gun (B-11), and buy ammo for all the guns), followed by a very basic iteration of the melee combat system. IF I am able to finish the vendor in a few days I’ll make a follow up post, showing how it works, and that it is a thing. Next week I will try and start on my ranged pirate enemies, and have them doing their thing. As well as getting the basic menu navigation set up and starting on sfx. Looks Amazing, cant wait until the release! I ended up spending more time than I wanted to on implementing the vendor system. I had come up with an archaic looking vendor that did not use the screen space well enough, so I went back and came up with a better looking, and more functional vendor. Old Vendor... I did not like it. I am not an artist so it does not look as great as someone with a background in graphic design / art in general, but I think it does its job well enough. I am open to suggestions to make it look better and more useable for the player. The way the vendor works, the player can buy all the ammo they need with the “Ammo” button, or can buy all the ammo they can afford for a specific weapon by clicking the respective weapons. 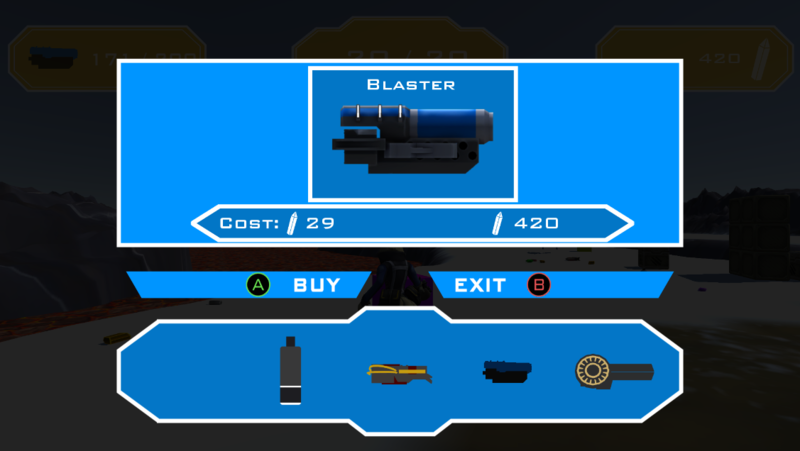 The player has 420 crystals, and to refill the blaster's bullets, it would cost 29 crystals. I also received the music for my game and implemented it in the level. It did not take a lot of time to do, but it is in there, and it fits the game well. After I had finished with the vendor, I decided that I should probably work on another enemy that is not just the swarmer. I got a start on the ranged pirate enemy. They are supposed to look at the player and then shoot them, if the player is within their range. It is a simple AI, as I am not very good at programming AI as of yet. There is still work to be done on the AI, so I may spend a day or so going back and making it better. I also received the model with the rig for the swarmer. This is the swarmer. His glowing stripes can change color independent of the exoskeleton and its inner energy. I am going to write a script that will change the color of the stripe over time, as I think it would look pretty cool. If it does not, I will probably keep it around an orange or yellow color.